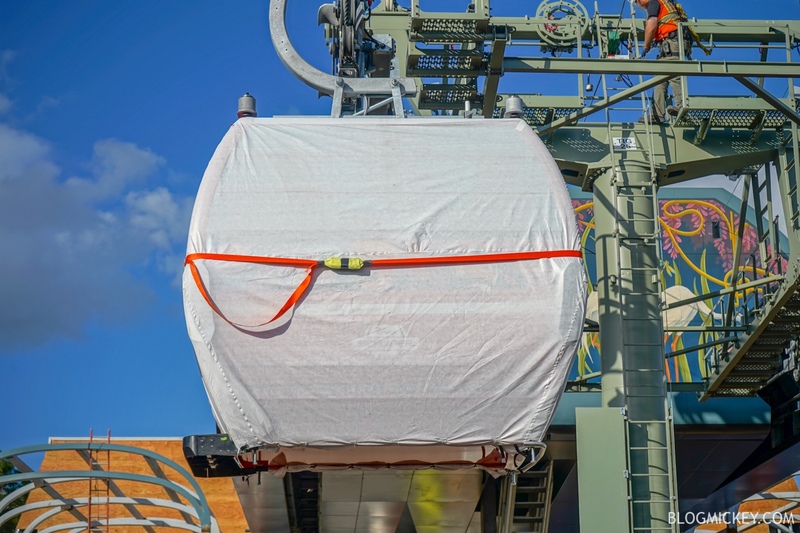 After spotting a fleet of Disney Skyliner gondolas earlier this morning, we made it out to Epcot this afternoon to find the first gondola being added to the line at the International Gateway Disney Skyliner station. 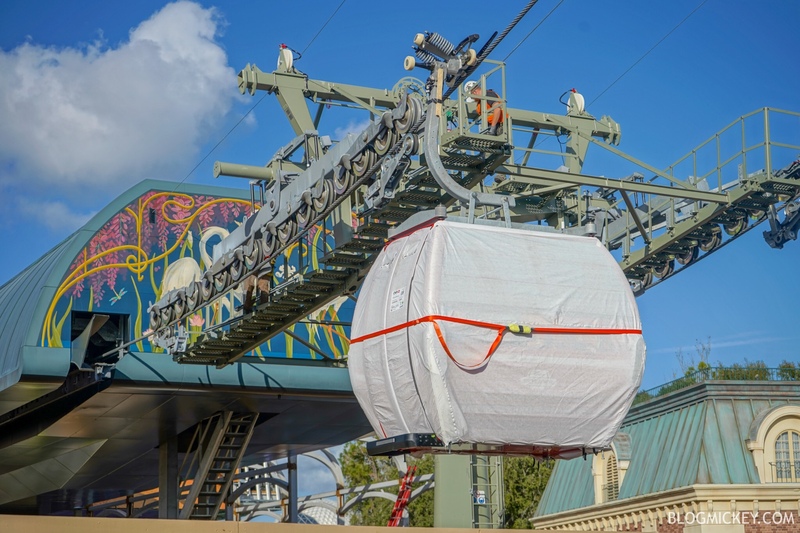 Viewing the Disney Skyliner gondola straight on makes it a bit easier to see the logo. 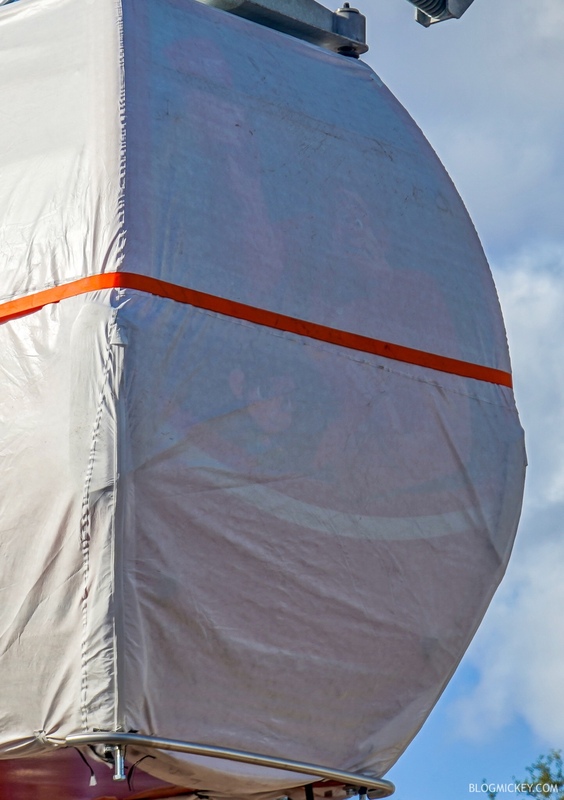 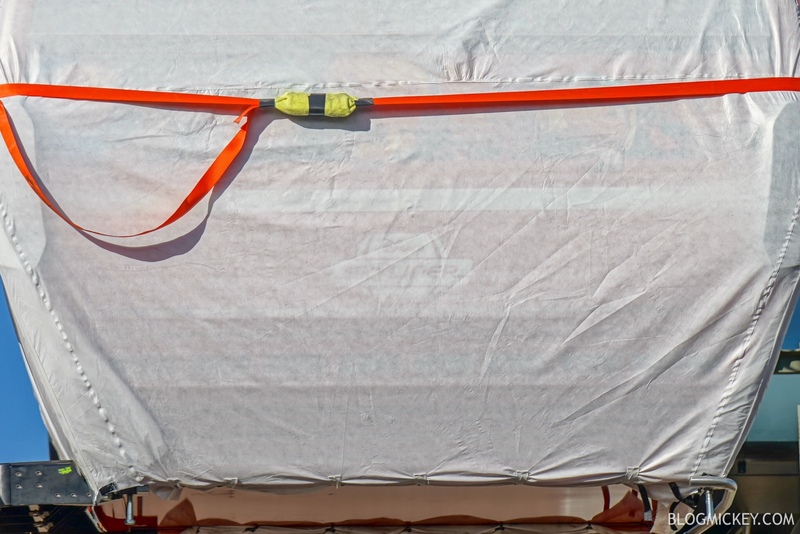 The Disney Skyliner gondola cabin appears to have Ralph and Vanellope from Wreck-It Ralph as character theming. 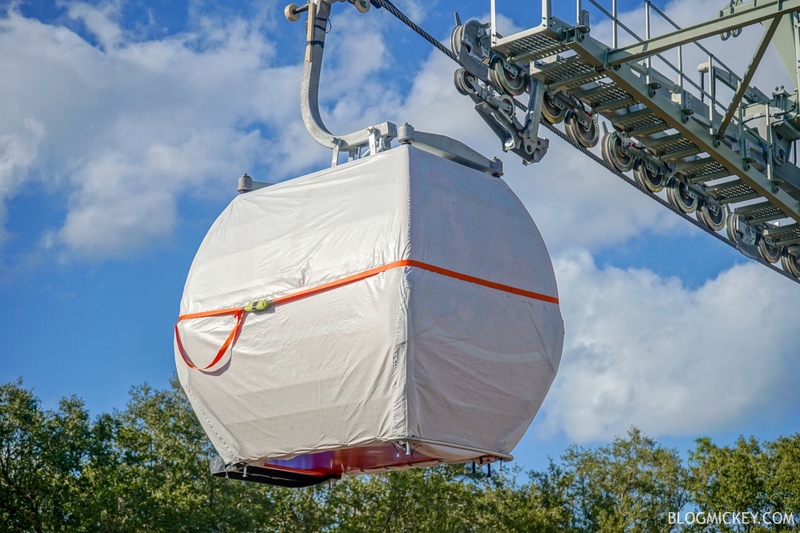 The Disney Skyliner gondola system will be operational in the Fall. 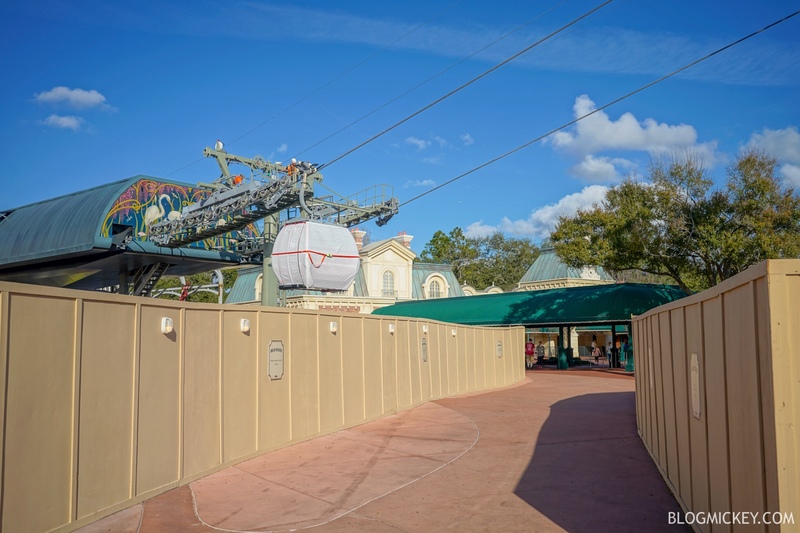 Continue checking back with BlogMickey.com for the latest on the Disney Skyliner and more!